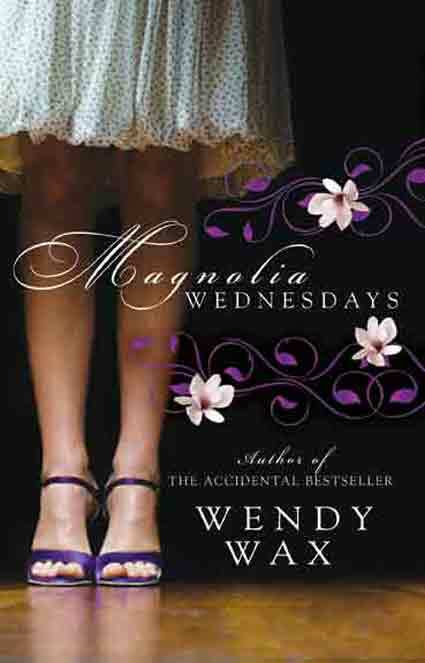 I picked Magnolia Wednesdays off the library shelves while looking for something humorous to read. The cover caught my eye and being a sucker for anything Southern, I decided to add this book to my blog. The story, written by a former journalist, Wendy Wax, takes place in the Atlanta area and has a tinge of Gone With the Wind vs. the Big Apple. The first page was well written and sucked me in. The book however, was not one of the best I’ve ever read. It wasn’t bad, if light reading is what you are looking for, but overall, I wouldn’t say this is one you must read. It would make a great book to take along on a vacation. Even though it is over 400 pages long, the book is a quick read. The story opens on a N.Y. journalist getting shot in the dernier while trying to get an inside scoop. Treatment for her injury results in surprising news for the journalist and leads her home to Atlanta to stay with her sister. While there, she decides to write a column about suburban life; a subject quite foreign to her. I won’t give any more of the plot away, but will tell you, it takes a long time for the author to “get to the punchline”. If you are patient and wish to discover more, check the book out of your local library. This entry was posted in Uncategorized and tagged Atlanta, Southern U.S., Wendy Wax. Bookmark the permalink.